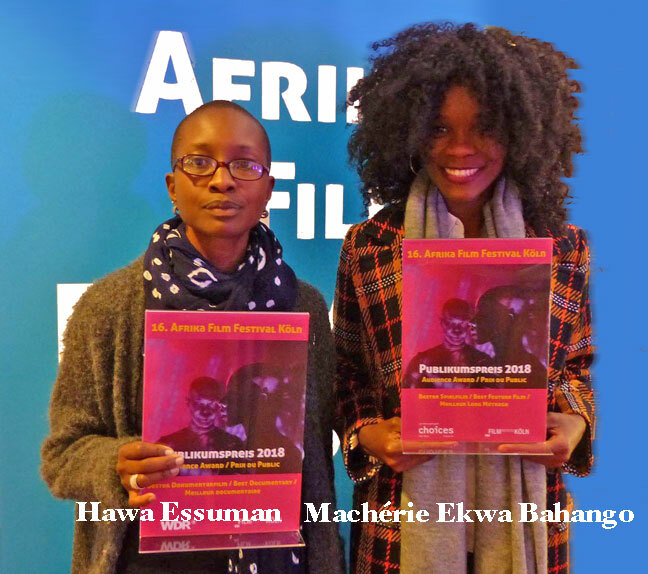 Congratulations to the laureates of the Afrika Film Festival Köln 2018 Audience Award: Hawa Essuman for the best documentary and Machérie Ekwa Bahango for the best feature film. 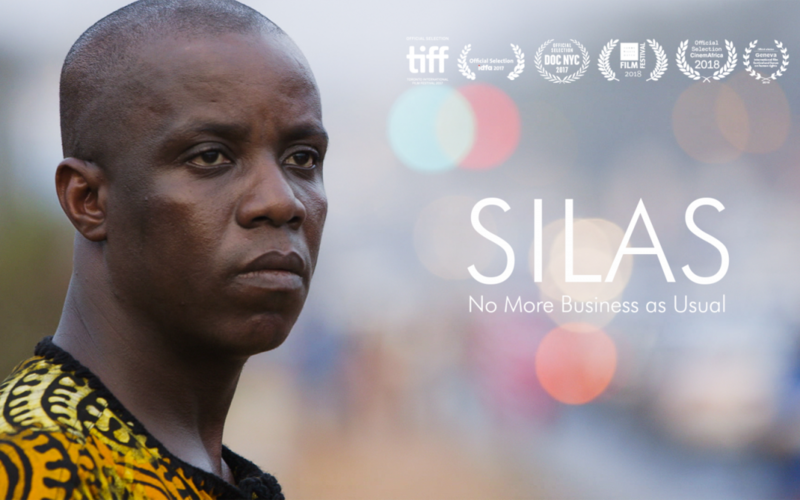 Liberian activist, Silas Siakor is a tireless crusader, fighting to crush corruption and environmental destruction in the country he loves. 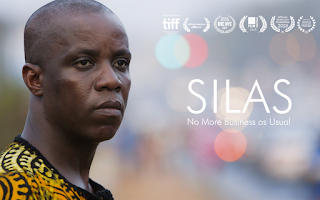 Through the focus on one country, Silas is a global tale that warns of the power of politics and celebrates the power of individuals to fight back. One man's battle gains momentum and emboldens communities to raise their fists and smartphones, seize control of their lands and protect their environment. It is a new generation of resistance. Set in 1989 during the Ethiopian civil war, fourteen-year-old Mina, who is Jewish, tries to prevent her Christian boyfriend Eli from being drafted. When she discovers her family’s plans to move to Israel, she devises a plot to save Eli. Aäläm-Wärqe Davidian’s coming–of-age debut film is based on her childhood memories of a civil-war-torn Ethiopia. 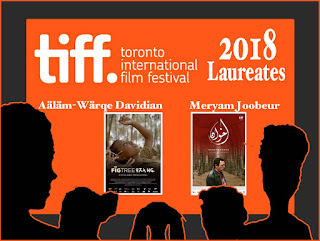 The film tells the story of Mohamed, an unsentimental shepherd living in rural Tunisia with his wife and two sons, deeply troubled by the return of his eldest son Malik from Syria. The latter, who has returned with a mysterious new wife, is confronted with his father’s disapproval. The tension between father and son intensifies over three days until it reaches a breaking point. We're on a journey. Each year has its own rhythms. The intention of the #DirectedbyWomen Worldwide Film Viewing Party is to invite film lovers to become aware of the thousands and thousands of women who have directed/are directing films, to inspire exploration and appreciation of their work, and to foster a sense of growing community among film lovers. Ultimately the intention is to help the world fall madly in love with films by women directors. 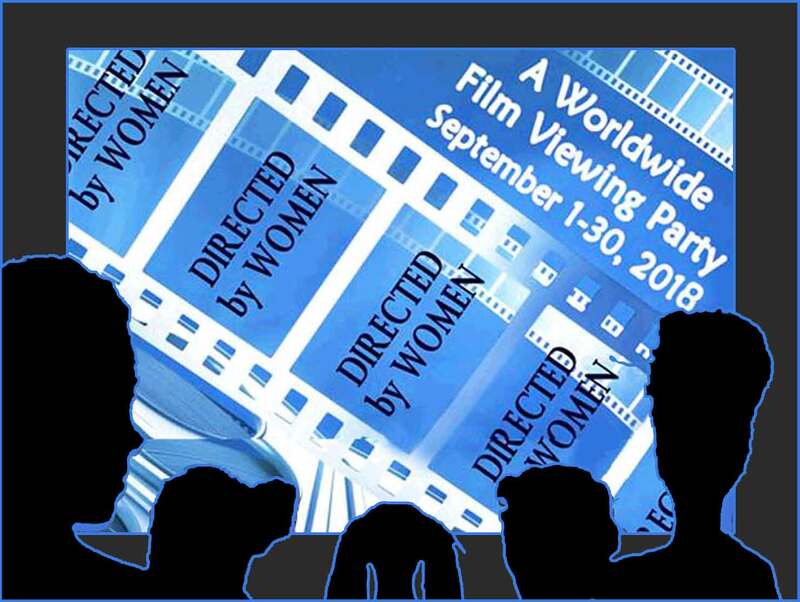 The Global Directory of women directors is up to 12426 directors... and counting! 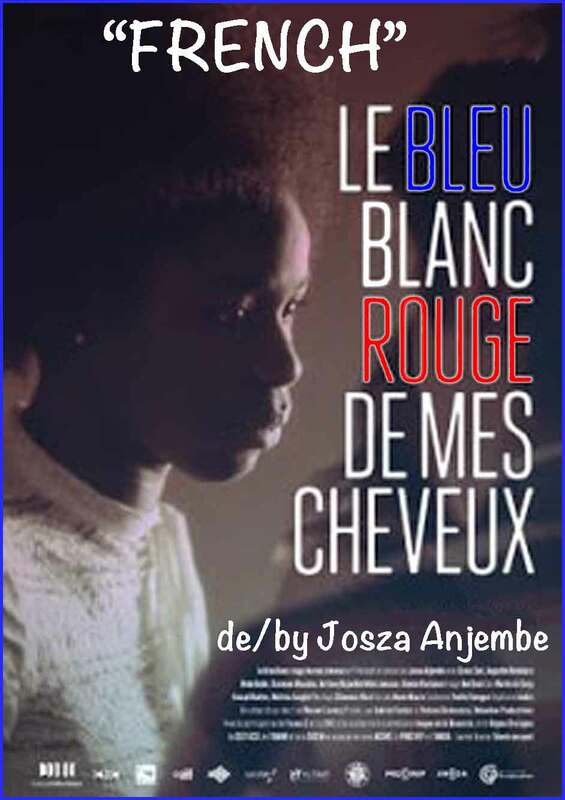 À dix-sept ans, Seyna, une adolescente camerounaise se passionne pour l'histoire de la France, le pays qui l'a vue naître et dont elle est profondément amoureuse. Son baccalauréat en poche et sa majorité approchant, Seyna n'aspire qu'à une chose : acquérir la nationalité française. Mais son père Amidou s'y oppose farouchement. A radio station announces that a special aircraft to the US is at the disposal of any traveller wishing to emigrate, on demand. But there is a limited number of places. Moussa, who has always dreamt of leaving, decides to set off. Une station de radio annonce qu'un avion spécial à destination des États-Unis vient d'être mis à la disposition de tout voyageur désireux d'émigrer, sans aucune formalité ou contrainte. Sauf que les places sont limitées. Moussa qui a toujours rêvé de partir se découvre des capacités insoupçonnés. Activiste libérien Silas Siakor est un militant infatigable qui se bat pour écraser la corruption et la destruction de l'environnement dans le pays qu'il aime. En visant sur son pays, Silas est un conte mondial qui met en garde contre le pouvoir de la politique et au même temps célèbre le pouvoir des individus à se défendre. La bataille d'un homme prend de l'ampleur et encourage les communautés à lever le poing et les smartphones, à prendre le contrôle de leurs terres et à protéger leur environnement. C'est une nouvelle génération de résistance. 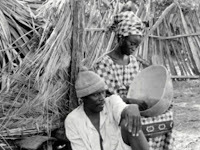 Ngor and Coumba live in a small village of farmers-breeders in Senegal live. They have wanted to get marry for the past two years. And again this year, the harvest is bad ... The rains are insufficient, irregular. Groundnut, a colonial-era crop, the only marketable produce, is harvested only once a year. Dans un petit village d'agriculteurs-éleveurs au Sénégal habitent Ngor et Coumba. Il y a maintenant deux ans que Ngor désire épouser Coumba. Et cette année encore, la récolte est mauvaise... Les pluies sont insuffisantes, irrégulières. Or l'arachide, culture coloniale, la seule commercialisable, ne se récolte qu'une fois par an. 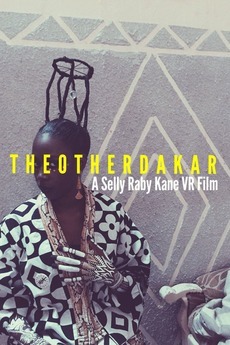 In this dreamlike 360º film, we follow a girl in her journey through “The other Dakar”, a place where artists hold the secret wonders of the city. Une petite fille est choisie et reçoit un message pour découvrir le visage caché de Dakar. Un hommage 360º à la mythologie sénégalaise. Embarquez dans l’univers fantastique et foisonnant de l’artiste, et découvrez la face cachée de la capitale sénégalaise. In the empty spaces we cannot claim as our own, in forests full of smoke and beneath waters dappled with bougainvillea, two women and a man wrangle. Each must hollow out the other’s core for fruits promised but only ever borne, in dreams. For this is Nairobi, the place we call home. Dans les espaces vides que nous ne pouvons revendiquer comme les nôtres, dans des forêts pleines de fumée et sous les eaux pointées de bougainvilliers, deux femmes et un homme se disputent. Chacun doit creuser le noyau de l’autre pour obtenir des fruits promis mais qui n’été octroyé que dans les rêves. Car c'est Nairobi, l'endroit que nous appelons chez nous. 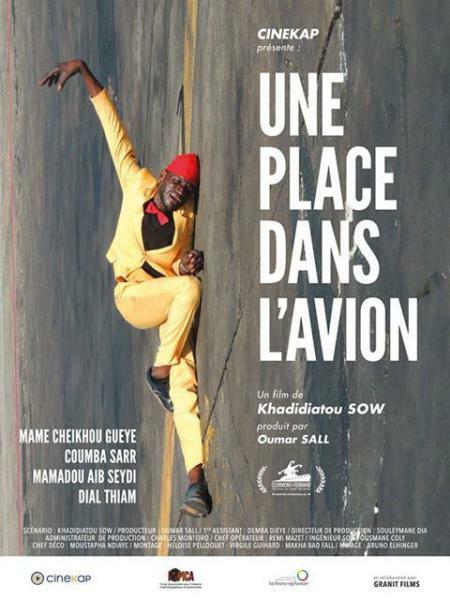 In this documentary, the director follows the path of mixed-race Franco-Burkinabe, Claire Lagedemond in her journey of identity to find her father, whom she has not seen since childhood. Born in Côte d’Ivoire, she grew up in the village. 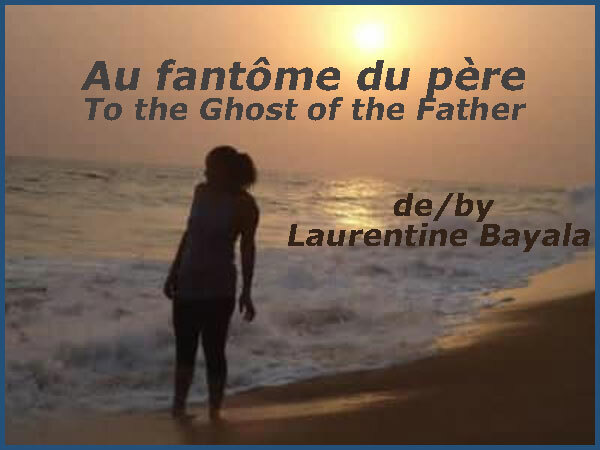 In Burkina, with her non-literate grandmother, she is now more than 40 years old and determined to find the father who for her has become a ghost. Also, Claire fights to prevent this same situation from happening to her son whose father is also absent. 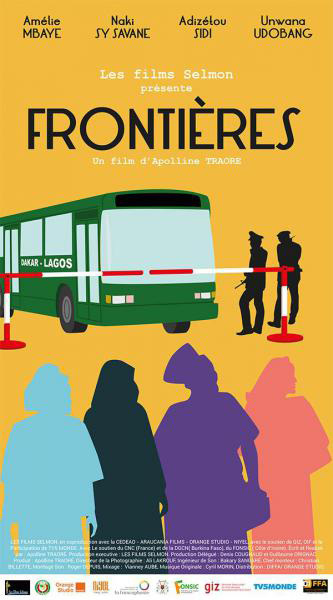 In this film, one has the impression of being transported into an investigation that goes from Ouagadougou to Abidjan, of which we absolutely want to know the outcome. 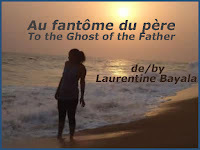 (To the ghost of the father by Marie Laurentine Bayala. By Bengnime Rachelle Some. Source: JCFA NEWS No. 3 Journées Cinématographiques de la Femme Africain de l'Image). La réalisatrice suit dans ce documentaire les traces de Claire Lagedemond, métisse franco- burkinabè, dans sa quête identitaire pour retrouver son père qu’elle n’a plus revu depuis son enfance. Née en Côte d’Ivoire, elle a grandi au village. Au Burkina, auprès de sa grand-mère illettrée, âgée aujourd’hui de plus de 40 ans. Elle est obstinée à retrouver ce père devenu un fantôme pour elle. Aussi, Claire se bat pour éviter que cette même situation n’arrive pas à son fils dont le père est absent. Dans ce film, on a l'impression d'être emporté par une enquête qui va de Ouagadougou à Abidjan, dont on tient absolument à connaître le dénouement. (Au fantôme du père de Marie Laurentine Bayala. Par Bengnime Rachelle Some. Source: JCFA NEWS No. 3 Journées Cinématographiques de la Femme Africain de l'Image). Apolline Traoré: This is a small series I made of 100 episodes. Fifty concerning men, and fifty concerning women. They are very short segments, 5 to 6 minutes each. I wanted to show all the crap that men do to women and vice versa, so I did not attack only one gender. Backstabbing, lies that every human being endures in a relationship. Some people may say that I am giving ideas to men to do certain things to women or women to do to men. But at any rate, what I have shown, there is nothing about it that is invented. I collected the experiences of actual people. It's just that I am showing it on the screen. Everyone will recognize themselves. Even I have my story too. Excerpt of interview by Reveline Somé for Burkina24.com published 19 February 2015. Apolline Traoré : C’est une petite série que j’ai faite de 100 épisodes. 50 qui concernent les hommes et 50 autres qui concernent les femmes. C’est vraiment de petits modules de 5 à 6 minutes chacun. J’ai voulu parler des petites conneries que les hommes font aux femmes et vice versa, donc je n’ai pas attaqué un seul sexe. Les coups bas, les mensonges que chaque être humain subit quand il est dans une relation. Certaines personnes me diront peut-être que je donne des idées aux hommes de faire certaines choses aux femmes ou aux femmes de le faire aux hommes, mais de toutes les manières, ce que j’ai montré, il n’y a rien d’inventé dedans. Zu Beginn einige Zahlen: 68 Millionen Menschen sind weltweit auf der Flucht, die meisten von ihnen in ihren eigenen Nachbarländern. Die Gründe sind so bekannt wie vielfältig: Krieg, Demokratiedefizite und wirtschaftliche Not. Dabei gelangt nur ein kleiner Teil der globalen Flüchtlinge (um die 17 Prozent) in das vergleichsweise reiche Europa, 30 Prozent aller Flüchtlinge leben in den afrikanischen Ländern südlich der Sahara. Wird der Maghreb hinzugezählt, beherbergt Afrika sogar etwa die Hälfte der Flüchtlinge weltweit. 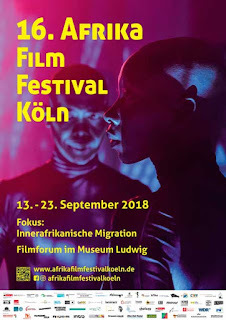 Die innerafrikanische Migration ist ein zentraler Fokus beim diesjährigen Afrika Film Festival Köln, mit 25 Titeln; doch auch die Filme des Rahmenprogramms durchzieht das Thema häufig auf direkte oder indirekte Weise. 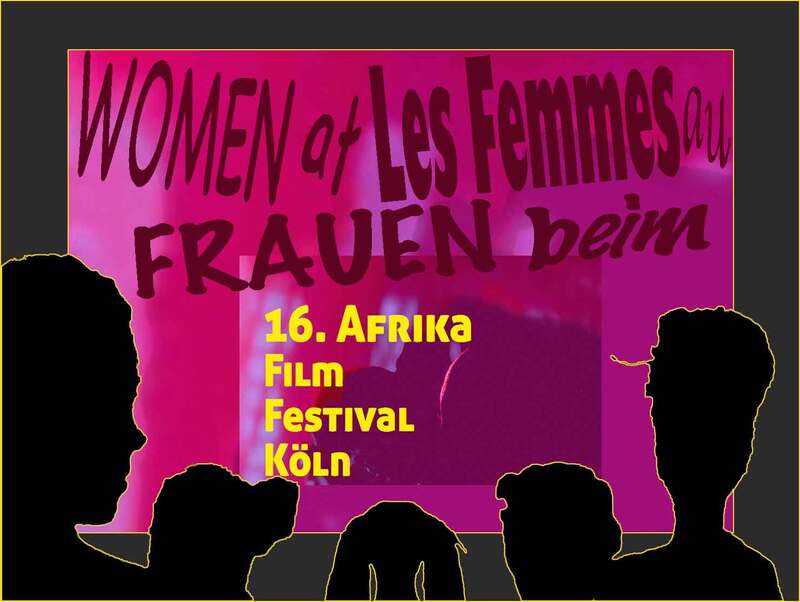 The 16th Afrika Film Festival Köln will present 75 new films from Africa – with a wider focus on migration within Africa. Some numbers: there are currently 68 mil- lion displaced people worldwide, most of whom now reside in countries bordering their homelands. The wide range of reasons for their displacement is well known: war, demo- cratic deficits and economic deprivation. Only a small per- centage of the world’s refugees (around 17 percent) make it to the comparatively rich Europe, while 30 percent of all refugees live in sub-Saharan African countries. If we include the Maghreb, the percentage of the world’s refugees accom- modated in Africa swells to around 50. 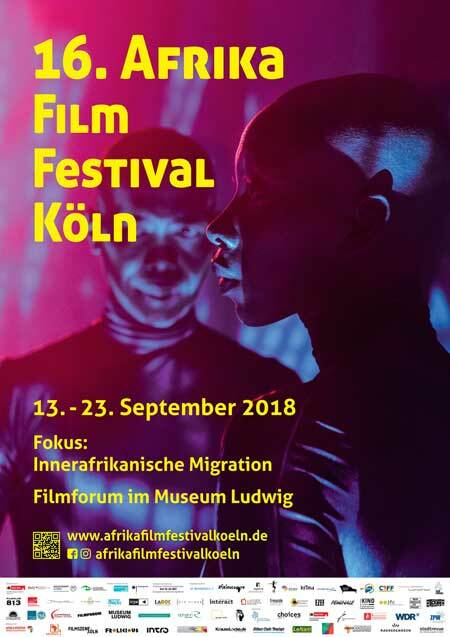 Migration within Africa is one of the key focal points of this year’s Afrika Film Festival Köln, with 25 films in the main programme and many others in the supporting events that directly or indirectly address the issue. Quelques chiffres pour commencer : 68 millions de per- sonnes sont déplacées à travers le monde, la plupart d’entre elles dans leurs pays voisins. Les raisons sont aussi connues que multiples : guerre, déficit démocratique et détresse éco- nomique. Dans ce contexte, seule une poignée des réfugiés mondiaux (environ 17 pourcent) atteignent l’Europe, plus riche, et 30 pourcent des réfugiés vivent dans des pays afri- cains au sud du Sahara. Si on compte le Maghreb, l’Afrique abrite même la moitié de tous les réfugiés du monde. 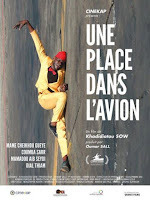 La migration intra-africaine est au cœur de la présente édi- tion du Festival du Film africain de Cologne, avec 25 titres ; mais la plupart des films du programme abordent aussi cette thématique de manière directe ou indirecte. The director's latest film, based on a true story, infiltrates the trafficking network of new-born babies. From beginning to end the intrigue conveys the pangs of a painful battle. That of Page Asanji, a young mother dispossessed of the fruit of her womb two days after childbirth. Embodied by the talented Charlotte Gobina, an imposing figure in the leading role, from scene to scene Page's determination finds paths of hope to a dramatically desperate situation. Who has so cleverly orchestrated the theft of a new-born baby in the famous Pavilion Z of the Royal Hospital? The 116 minutes of this thriller, shot in Buea will make the spectator a full member of the investigative team who has decided to conduct a private enquiry. With Ward Zee, officially released 23 June 2018, Delphine Itambi deals with a humanly devastating phenomenon that is growing at a frightful rate in Cameroon. She is particularly inspired by the famous affair of Vanessa Tchatchou, mother of a little girl who disappears a few hours later without a trace in 2011. The event, which happens in the Cameroonian capital, will take on an international resonance. But will not bring back the stolen baby. While Ward Zee is not a reproduction of this affair, we still find the main ingredients that have embellished this sordid story: a hospital that allows its new-born to be taken away, an investigation burdened with delays, and biased authorities, who for the most part are walled in their silence. The protagonists of Ward Zee learn this at their own expense. The first attempts of the young Page to legally find her baby and her husband (also missing) prove unfruitful. The lawyer she meets on her journey, rousing half amnesic in a bush, is eliminated while she conducts her investigation. Kate (Ndamo Damarise), Page’s interesting newfound neighbour realises immediately that she is in danger and decides to help her. She will succeed in convincing Jack (Libota Macdonald) her private detective boyfriend and Danny (Anurin nwunembom) the ex of the heroine, to avoid the police at all cost. It is the beginning of a delectable suspense story, peppered with chilling discoveries. The story, carefully narrated with a good dose of flashback keeps the viewer attentive while guessing what will follow. 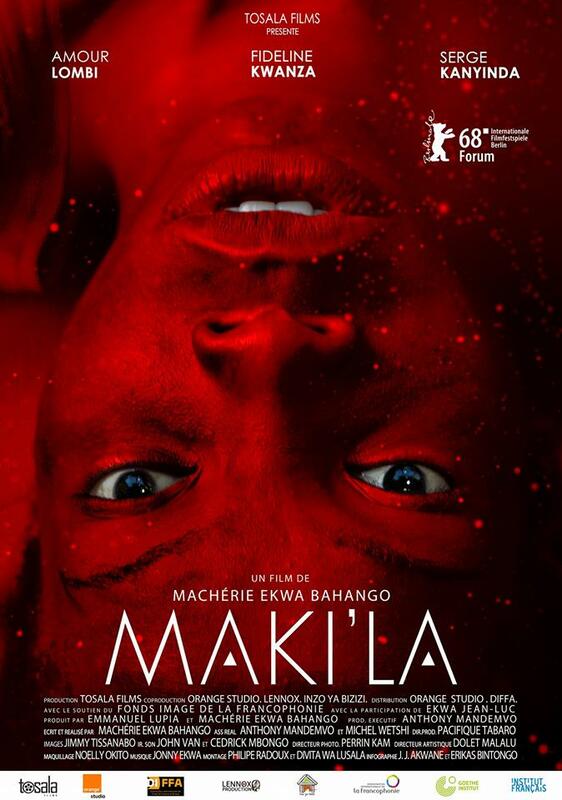 It is a heck of a hit for Delphine Itambi, who also scripted and produced this feature film. Deep in her role, Page aptly portrays a bruised mother in the depths of despair. At the same time, an unknown force dwells within her, feeding her rage to find that part of herself, which has just been taken away. Her imaginary and echoing blows are testimony to this. The camera multiplies the close-ups on the face of the heroine transformed by sadness. The scenes arranged with the rhythm of astute editing are accompanied by skilfully balanced music. Some of them reveal nevertheless an inadequate synchronization of the sound. But one of Ward Zee's strengths is also its strong imprint of women’s presence. In addition to the main role, the filmmaker chooses to give key places to women, all of strong character. The first woman is a generous and courageous lawyer. Page’s new neighbour, a bit whacky but determined and persevering, mobilises and encourages her friends in their search for the new-born child. Delphine Itambi will also make a personal homage by inspiring Kate a scenario that she will write throughout the plot. Laura Onyama, a major asset of the film, plays Mabel, who commits the act of theft. The actress admirably goes from a sweet maid to a tried-and-tested girlfriend to the ruthless thief who wants to assert herself. Commanding in her role, Laura Onyama, playing opposite Page, responds unambiguously, allowing the director to explore the different extremes of the characters. The cast also reveals Achille Brice, better known in his roles of director and editor, in the posture of a seductive sniper. Ward Zee has a bright future ahead of it, like its young director who is just beginning to write her story within the Cameroonian film industry. Le dernier film de la réalisatrice, qui s’inspire d’une histoire vraie, s’infiltre dans un réseau de trafic de nouveau-nés. L’intrigue porte de bout en bout les affres d’un combat douloureux. Celui d’une jeune mère Page Asanji, dépossédée du fruit de ses entrailles deux jours après l’enfantement. Incarnée par la talentueuse Gobina Charlotte, imposante dans ce rôle principal, la détermination de Page au fil des scènes, trouve des ruelles d’espoir à une situation dramatiquement désespérante. Qui a si savamment orchestré le vol d’un nouveau-né dans ce fameux pavillon Z du Royal hospital ? Les 116 minutes de ce thriller tourné à Buea vont faire du spectateur un membre à part entière de cette curieuse équipe décidée à mener une enquête privée. Avec Ward Zee, sortie officiellement le 23 juin 2018, Delphine Itambi traite d’un phénomène humainement destructeur qui prend affreusement de l’ampleur au Cameroun. Elle s’inspire particulièrement de la célèbre Affaire Vanessa Tchatchou, génitrice en 2011 d’une petite fille qui disparait quelques heures après sans traces. L’évènement qui se déroule dans la capitale camerounaise prendra une résonnance internationale. Mais ne ramènera pas le bébé volé. Si Ward Zee n’est pas une reproduction de ce fait divers, on y retrouve tout de même les principaux ingrédients qui ont agrémenté cette scabreuse histoire. Un hôpital qui laisse s’échapper son nouveau-né. Une enquête taxée de tardive et biaisée des autorités pour la plupart du temps murés dans leur silence. Les protagonistes de Ward Zee en apprennent à leurs dépends. Les premières tentatives de le jeune Page à retrouver légalement son bébé et son mari (lui aussi disparu) sont sans issues. L’avocate qu’elle croise sur son chemin en se réveillant à moitié amnésique dans une broussaille, est éliminée pendant qu’elle mène son enquête. Kate (Ndamo Damarise) la nouvelle et intéressante voisine de Page la sait désormais en danger et décide de lui apporter son aide. Elle réussira à convaincre Jack (Libota Macdonald) son petit ami détective privé et Danny (Anurin nwunembom) l’ex de l’héroïne de surtout éviter la police. C’est le début d’un suspens délicieux, jalonné de découvertes macabres. L’histoire, soigneusement narrée à bonne dose de flash-back donne difficilement la latitude au spectateur de deviner ce qui va suivre. Un sacré coup pour Delphine Itambi qui scénarise et produit en même ce long métrage. A fond dans son rôle, Page renvoie avec justesse son jeu de mère meurtrie rongée jusqu’aux entrailles par le désespoir. En même temps habitée d’une force inconnue qui nourrit sa rage de retrouver cette partie d’elle qu’on vient de lui ôter. Ses légendaires et retentissantes baffes en témoignent. La caméra multiplie les gros plans avec le visage de l’héroïne transformé par la tristesse. Les scènes agencées au rythme d’un montage intelligent s’accompagnent d’une musique savamment dosée. Quelques-unes d’entre elles dévoilant néanmoins une synchronisation inadéquate du son. Mais l’une des forces de Ward Zee c’est aussi sa forte empreinte féminine. Hormis le rôle principal, la réalisatrice choisit de donner des places déterminantes aux femmes toutes d’un fort caractère. Le premier personnage qui décide d’aider la jeune maman est une avocate généreuse et courageuse. La nouvelle voisine de Page, un peu déjantée mais déterminée et persévérante, mobilise et encourage ses amis dans la recherche du nouveau-né. Delphine se fera d’ailleurs un clin d’œil personnel en inspirant à Kate un scénario qu’elle écrira tout au long de l’intrigue. Et puis, on a Laura Onyama. Un atout majeur du film. Elle incarne Mabel, l’infiltrée qui commet l’acte du vol. L’actrice passe admirablement de douce femme de ménage à petite amie éprouvée jusqu’à l’impitoyable voleuse qui veut s’assumer. Magistrale dans son jeu, Laura Onyama donne une réplique retentissante à Page et permet à la réalisatrice d’explorer les différentes extrémités des personnages. La distribution dévoile également Achille Brice dans une posture de snipper qui séduit. Plus connu sous ses casquettes de réalisateur et monteur. Ward Zee a de beaux jours devant lui. Tout comme sa jeune réalisatrice qui commence juste à écrire son histoire dans l’industrie cinématographie camerounaise. (Nairobi, Kenya, September, 4th 2018) Out of Africa International Film Festival (OOAIFF) announces their 4th edition to be held on November 27th-29th 2018 at The Michael Joseph Center-Safaricom. 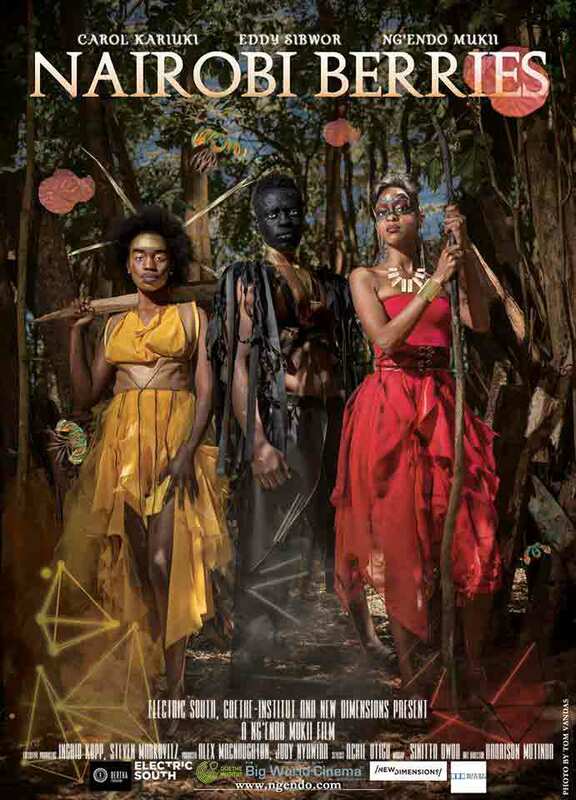 The team behind the festival is committed to discovering and developing African potential in the 7th Art. 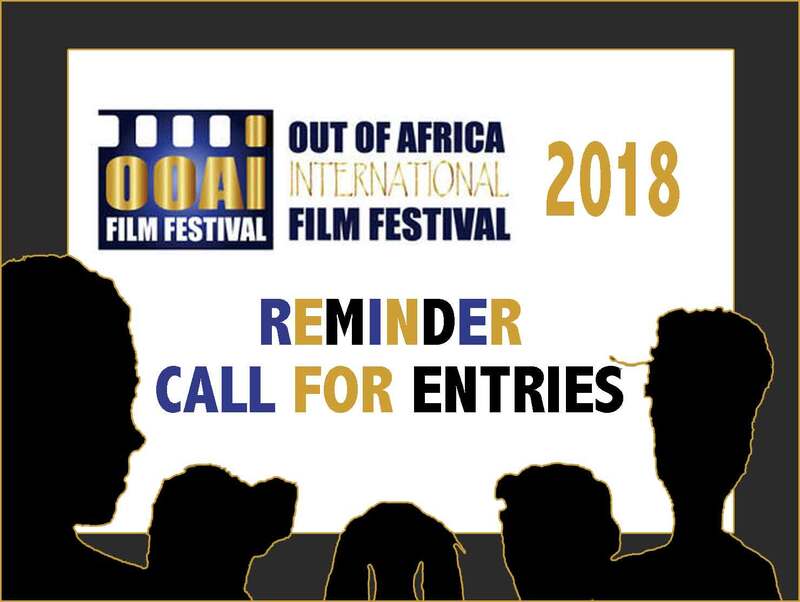 The festival’s theme: Economic Empowerment of Youth and Women through Film expects submissions from experienced as well as amateur filmmakers including students of all levels. The aim is to provide a platform where filmmakers, experts and general public interact to open up the local industry and offer more opportunities. Films from all categories in different languages from around the continent are expected for screening. The event also integrates talks, workshops and film and book market as well as offering a networking opportunity for exhibitors, industry players and general public.